"We believe that every young person should experience the world beyond the classroom as an essential part of learning and personal development, whatever their age, ability or circumstances. Learning outside the classroom is about raising achievement through an organised, powerful approach to learning in which direct experience is of prime importance." 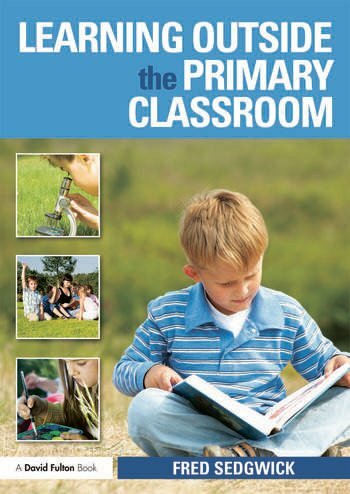 In Learning Outside the Primary Classroom, the educationalist and writer Fred Sedgwick explores in a practical way the many opportunities for intense learning that children and teachers can find outside the confines of the usual learning environment, the classroom. This original work is based on tried and tested methods from UK primary schools. The author draws on current concerns in the educational world regarding outdoor learning as exemplified by the eight sector Learning Outside the Classroom (LOtC) initiative (supported by Ofsted), but remains refreshingly independent in approach. Using a metaphor of concentric circles Learning Outside the Primary Classroom starts with a brief opening chapter based in the classroom itself before moving outwards to explore the learning possibilities presented by the immediate environs of the school – playgrounds, gym halls, sports fields etc. Later chapters move beyond the school gates to explore the local shops, parks, religious centres, libraries and town halls and the myriad learning opportunities they represent. The final chapters explore the possibilities of larger scale day trips to major galleries and museums and more ambitious field trips. Fred Sedgwick is a freelance lecturer, trainer and writer on children's writing, management, art, personal, social and moral education, as well as on Shakespeare and the young writer.